Summer is the time of the year where the backyard can become an extension of your living space. Today there are so many landscaping options available that creating the perfect summer retreat in your own backyard is easier than ever. There is no need to do it alone, though, as getting assistance and advice from experts can help in creating a beautiful outdoor retreat. Interior designers may be thought of as people who help with design inside the house, but they can also be called upon to help with the exterior of a home. Designers can take features of a space’s interior into an outdoor setting, such as a veranda, to create a unified look and feel. Depending on a client’s vision for an exterior project, it may be helpful to collaborate with or have a landscape designer also involved. Their expert experience and training will provide valuable input in beautifying exterior spaces. The first place to start to make the process easier is to ask a designer for tips, tricks and ideas to make the outdoor space compliment or even contrast the indoors. With the popularity of outdoor spaces, many designers have taken their expertise outdoors. Designers will know the latest trends, fabrics that do well outside and even how you should arrange your furniture to make the most of the space. If you currently own Stone Furniture and desire a different arrangement, furniture can be easily be moved with the assistance of a dolly. A splash of color pillows can be placed on the Stone Furniture and accessories such as candles will be safe and alluring on the stone tables. When creating that perfect retreat, it is important to understand what types of plants will do best in your area and where to plant them in your yard. Whether you want something that looks manicured or something a little more wild and natural looking, a landscaper can help you understand what will do best and where. Also, landscapers are not just experts in creating amazing outdoor retreats, they are also great in helping to maintain one. Keeping up with your outdoor sanctuary is something you can get help with. You can do as much or as little of your landscaping as you want. The last thing you want is your perfect summer retreat to become a full-time endeavor. Of course, your Stone Furniture is low maintenance, so once you have it set, you can forget it and enjoy your summer. 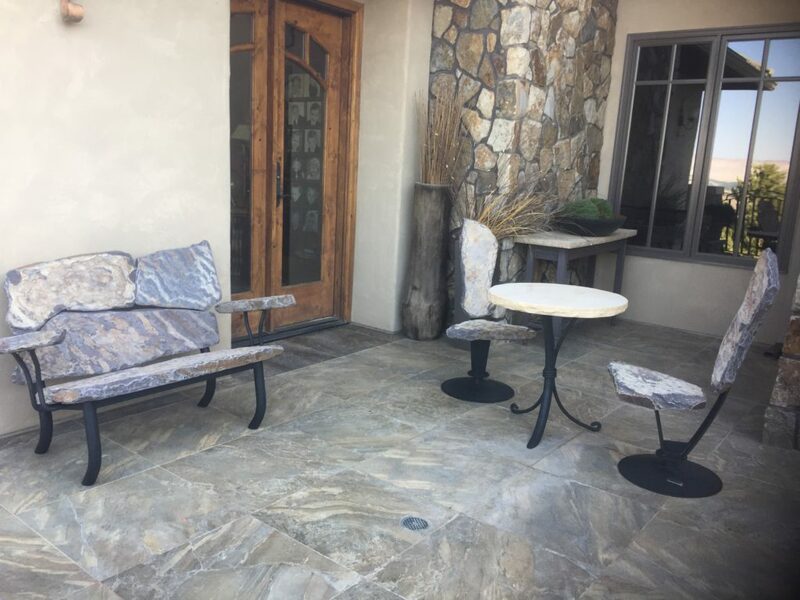 If you are not sure what pieces you should get for specific areas, such as your pool, patio or fire pit, Stone 2 Furniture has great packages that have everything you need. Once you have the furniture selected, working with your designer and landscaper will be easier because they will have a foundation to build from. They can help you create the outdoor space that will be your sanctuary where you can retreat at the end of the day.